We have recently developed a new website for True Heroes (formerly known as Afghan Heroes). True heroes are a charity that deal specifically with members of the British armed forces and their families that have been affected by the military operations in Afghanistan now and in the future. The homepage on the new site is one that will constantly be changing. This is because it features lots of news feeds taking the most recent posts from various different places such as; Facebook, Twitter, the events page and the blog. The page will therefore, be kept both current and relevant showing latest events and information. There is also a module dedicated to the fallen heroes showing respect for the most recent unfortunate loss. The site has cycling banner images at the top of each page in which True Heroes have the ability to edit and change themselves. One of the most recent news items on the homepage is “The Retreat”. The ultimate goal for the charity was always to provide a post services facility, and with all the help and support of the general public they finally have their first one. These facilities help to keep heroes off the streets and enable them to rebuild their lives, being retrained into new careers, with like minded personnel who have witnessed and been through what they have. 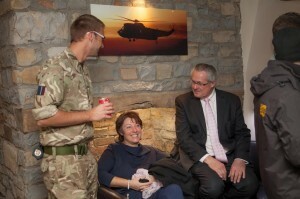 True Heroes have recently started up the Somerset Retreat in which former soldiers attend for its unique post services facility. They took over the premises in November last year and spent a frantic few weeks completely refurbishing the property in Ashcott near Glastonbury ready to welcome its first residents. The True Heroes staff have barely had time to catch their breath since they opened at Christmas. 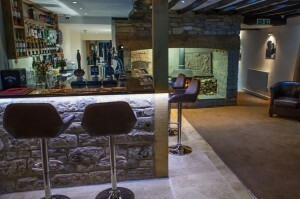 The Retreat offers accommodation for half a dozen former services personnel above the successful bar and restaurant business serving the local community. True Heroes had always intended for The Retreat’s to be able to stand alone as fully functioning businesses rather than them being subsidised by the charity themselves. The new website features responsive design techniques so that it adapts to the device it is being viewed on, taking nicely to being viewed on mobile devices. The site also gives people the opportunity to purchase True Heroes merchandise online. True Heroes have the ability to update the content on their site thanks to the full content management system giving them total control over the website. Visitors can find out more about the charity’s work and get involved by donating their money and time to True Heroes. The website features a large ‘Donate’ button on each page. If you would like to donate to True Heroes go tohttp://www.trueheroes.org.uk/donate it would be much appreciated.